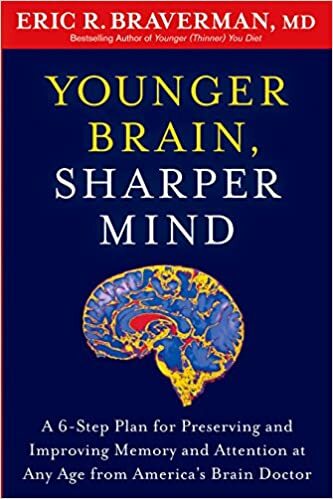 A Book Review: Younger Brains, Sharper Brains by Eric R. Braverman, M.D. Many divide memory differently, but take a look at Braverman’s memory. From his perspective there are four with each one ruled by one of the four brain chemicals. Needed for: decoding sounds, words, sentences, and stories. The ability to absorb and retain auditory input. Found in the temporal lobes. The ability to absorb and retain visual input. Found in the occipital lobes. Can’t remember recent, but still can remember remote past. Found in the parietal lobes. Ability to absorb, retain and associate with previously learned information. Generally found high in intuitive and introverted people. Frontal lobes regulated by dopamine, handle motor control, concentration, problem-solving skills, planning, retention, — functions of working memory. Next time we will continue to address Memory, including Vision and Daily Living Activities. What are the four types of memory? You may be surprised how Braverman defines these four types. Next time. Next time we will begin looking at Memory Problems. “Glutamate excites cells to higher states of activity so that they can receive and process information… Every time we learn something new, glutamate is released. And every time glutamate is released, GABA must be there to funnel it in the right direction.” P. 25 When GABA is unbalance, too much glutamate is released and the opposite happens – neurons are killed. Next time we will discuss the important Sleep Factor. We lose 7-10 milliseconds each decade just due to age. It happens so slowly and gradually, that we seldom notice it. Beyond loss of memory there is a separation between thinking and doing. All of this unbalances the brain. Next we will discuss changes in mood and personality. Verbal memory loss (telling the same story, asking the same question..
Next time we will explore the causes of Cognitive Decline…. “Spark of Life” – fetus – brain voltage – 4-5 times that of an adult; but speed is slower – can’t retain all. Slow, but steady decline – Women beginning as early as age 40; Men usually have another 10 years before this decline begins. Watch for changes in personality, temperament, memory, attention and focus. If you are like me, you are anxious to get to the part of the book that provides solutions, but we must be patient and get the preliminary information first. Stay tuned. The Brain Stem – the place where electricity connects the brain and the body. Even for those of us who have studied the brain’s anatomy before, review impacts our understanding. As a part of my ongoing journey to understand how our brain works and how we learn, I began reading Younger Brain, Sharper Mind by Eric P. Braverman, MD during a quick get-away / Spring Break. Part 1 – Explains how the brain works. In addition to his own research, Braverman uses extensive other sources listed in the References section at the end. “The brain is the most remarkable organ in the body: It not only controls how you think, feel and perceive, it manages all aspects of your health. Certainly many of us of all ages experience times when our mind wanders and we lack concentration. I look forward to continuing to read what Braverman has to say. Join me in this journey.